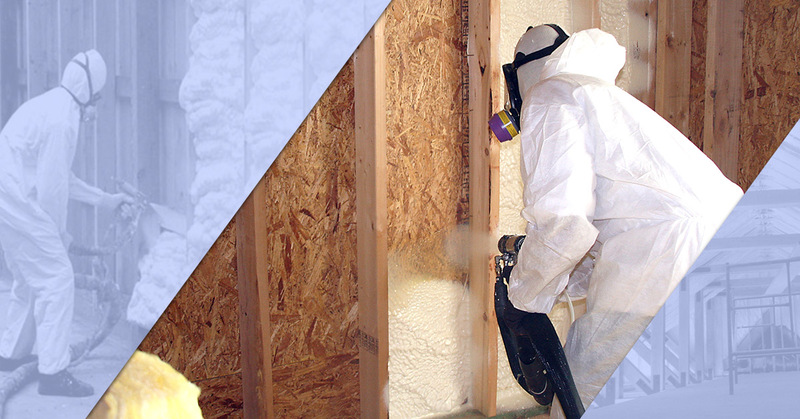 At Paulsen Insulation, one of our most popular services is spray foam insulation. It Isn’t hard to understand why, as spray foam offers a host of benefits to your home. However, many people overlook this option because they believe that the cost will be high and the process will be time-consuming. In reality, this isn’t the case. In this blog, we will go over what spray foam insulation is, and what the benefits are of having Paulsen Insulation come install it in your home. Spray foam insulation is a type of insulation that is created with two types of materials: polyurethane and isocyanate. These two composite materials react to each other, causing the insulation to expand then harden. When we are installing these insulation, we spray both materials at the same time over the desired area, which then forms a layer of insulation. The two types of spray foam insulation are open- and closed-cell spray foam. Open-cell is foam is denser and spongier, and is generally only used for interior environments for sound-proofing purposes. Closed-cell spray foam insulation, on the other hand, can be used indoors and outdoors, and provides additional structural strength to the building. While closed-cell is more expensive than open-cell, it offers a variety of benefits to homeowners. Most importantly, spray foam insulation is the most effective insulation on the market. Because it expands as you spray it, the foam it creates seals all of the tiny cracks that other types of insulation miss. Spray foam is rated at R-6, which is the highest rating an insulation can have in terms of quality. The powerful insulating properties of spray foam also help to save energy in your home. High-quality insulation keeps heat in and cold out during the winter, so you don’t have to spend nearly as much money on energy bills. Spray foam insulation has been proven to save some customers an average of 50 percent. Compared to other insulation, which saves up to 30 percent, spray foam insulation is clearly superior. Not only is spray foam insulation more efficient, it also lasts for years and years. When you invest in spray foam insulation, you don’t have to worry about re-insulating your home every few years. An investment in spray foam insulation can last for decades because of the unique combination of the composite materials. Though spray foam insulation may be a greater upfront cost, over time, it can offer huge savings. Spray foam insulation’s effectiveness and long-lasting properties also help it be the most eco-friendly insulation option. The superior insulation abilities ensures that you save energy, which is great for your wallet AND the environment. Additionally, because it lasts so long, fewer materials need to be consumed. Insulation is important for your home not only to prevent air from escaping, but to keep water from entering your home and causing mold. Spray foam insulation is perfect for preventing moisture and, in turn, mold, because it does not absorb water at all. Additionally, in the inner polymer of spray foam insulation, there is no source of food for mold, preventing it from forming. At Paulsen Insulation, we provide spray foam insulation in New Jersey. Contact us today to schedule an appointment!